Saat Anda menginap di Sanur House di kota Denpasar, Anda akan berada dekat pantai, hanya 10 menit dengan berkendara dari Pantai Sanur dan Lapangan Puputan Badung. Wisma ini berada 7 mi (11,3 km) dari Tanjung Benoa dan 9 mi (14,4 km) dari Pantai Kuta. Ketahui Sebelum Anda Pergi Properti ini menawarkan transportasi dari bandara (dapat dikenakan biaya tambahan). Tamu harus menghubungi properti dengan detail kedatangan sebelum perjalanan, melalui informasi kontak pada konfirmasi pemesanan. Biaya resor tercakup dalam tarif total yang ditampilkan Biaya Biaya dan deposit berikut mungkin ditagihkan oleh properti saat memberikan layanan, check-in, atau check-out. Biaya sarapan ala kontinental: IDR 75000 per orang (kurang-lebih) Biaya antar jemput bandara: IDR 200000 per kendaraan (satu arah) Biaya tempat tidur bayi: IDR 150000.0 per malam Biaya kasur lipat: IDR 200000.0 per hari Daftar di atas mungkin tidak lengkap. Biaya dan deposit mungkin belum mencakup pajak dan dapat berubah tanpa pemberitahuan sebelumnya. 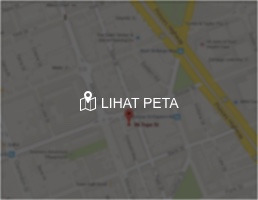 Biaya Wajib dan Pajak Biaya berikut sudah termasuk dalam total biaya kamar: Biaya resor: Kami telah mencantumkan semua biaya yang diinformasikan oleh properti kepada kami. Namun, biaya mungkin berbeda, misalnya, tergantung pada lama menginap atau kamar yang dipesan. My room was clean, comfortable bed, great shower, fantastic staff, and a very responsive and caring owner. You can't ask for any more. The garden is also beautiful, and the location is a quiet and safe area but close to the beach and restaurants. 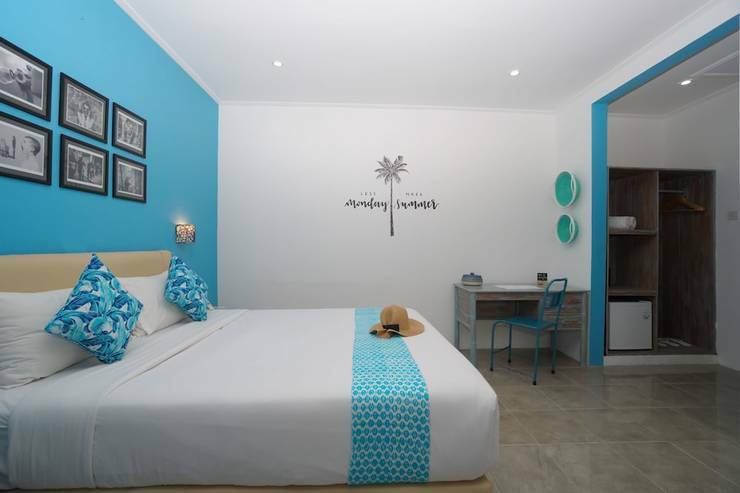 I doubt there is a better place to stay at this price point in Sanur. I extended four times and didn't want to leave. In the end, I lived there for six weeks; many other guests were on 1-month stays, so that says something. 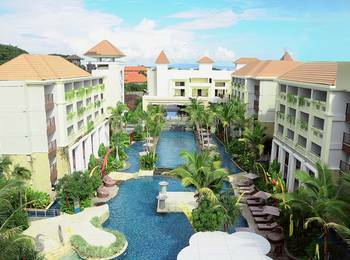 I stayed at Sanur House on a leisure visit for 4 nights in January/February and highly recommend the property to anyone looking for a quiet hotel with great design, comfortable yet spacious rooms with all essential amenities. 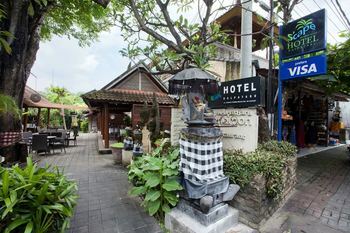 The staff are all very friendly and helpful, the kitchen Chef cooks a mean selection of Thai and local dishes and the WIFI is some of the fastest available on Bali for those who enjoy being connected. For a hassle free stay look no further. Keep an eye out for the tiny frogs running around at night! Stayed here for the third time. Amazing welcome home greeting, nothing too much trouble. Kettle, mug, oj brought to my room. Air con on, bed ready to go. Breakfast menu fabulous. Pool sparkling and inviting. Kadek and Intan spoil me and look after me and call me Ibu (mum). I love this place and cannot speak highly enough about every aspect. Looking forward to water in big bottles and ridding the place of plastic bottles. Great eco idea. 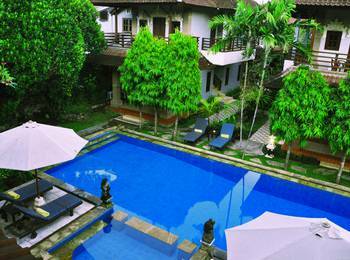 Stayed here for 1 nite and had arranged airport pick up before I left to come to Bali. 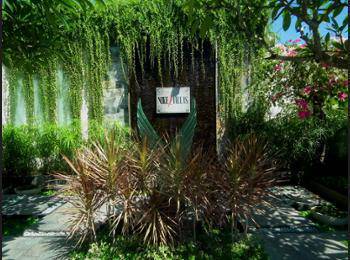 My driver was waiting where we had arranged and within 20 minutes we were in Sanur and I was checking into my room. I had room #1 which is down the back and furthered away from reception. The room itself was a lot larger than the one I had stayed in previously with much larger bathroom with rain shower. My room was very clean and fresh featuring a table and chairs , room safe , fridge and icy cool aircon...there was a small patio sitting area outside the room also. Breakfast is basic overlooking the pool area with the staff remembering my name from my previous visit 4 months earlier. The only negative was the wifi , I’m putting this down to being so far away from reception. 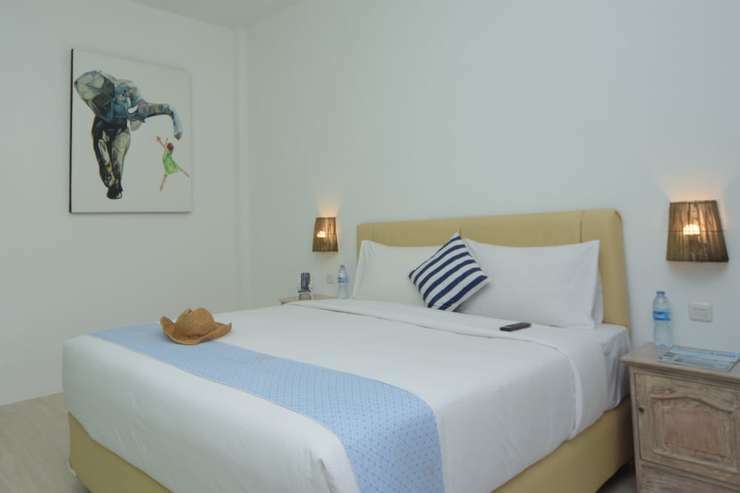 In summary Sanur House is in a fantastic quiet location within walking distance to shops and restaurants, the staff are very friendly and I can’t wait to return.